Found one file extension association related to Vaulty for Android and 1 file format developed specifically for use with Vaulty for Android. 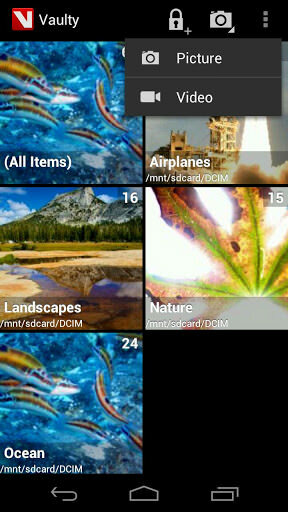 Vaulty is used to safekeep pictures and video files on Android phones or tablets. Keep your pictures & videos safe and private with Vaulty. Do you have pictures or videos on your phone that you don't want others to see? Hide pictures & private videos with Vaulty to keep them protected from prying eyes. Keeping pictures & videos safe, secure and hidden has never been easier! Use Vaulty to hide pictures & hide videos today! If you need more information please contact the developers of Vaulty for Android (Squid Tooth LLC), or check out their product website.